Buildings in 2016 Archi-new - Free Dwg file Blocks Cad autocad architecture. Archi-new 3D Dwg - Free Dwg file Blocks Cad autocad architecture. 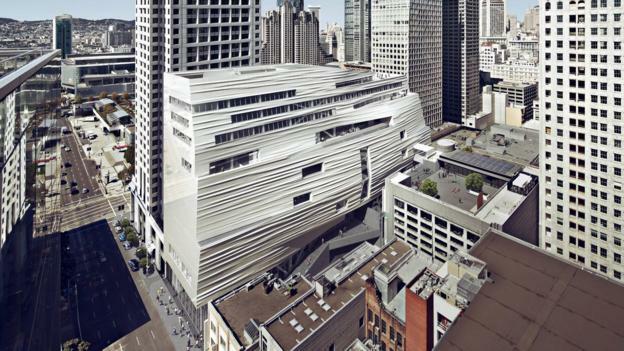 Jonathan Glancey picks eight of the most exciting architectural projects planned for next year. By the end of 2020, it is projected that half of the world’s 20 tallest buildings will be in China, a figure set to rise as the pace of urbanisation increases. By around 2025, the Chinese government aims to have 70% of its people living in cities. Home for many will be a soaring concrete apartment block. South Koreans may well bask in this accolade, having relegated the extraordinary 330m (1082ft)-high Ryugyong Hotel in Pyongyang, still under construction after a number of false starts 29 years on, into second place. 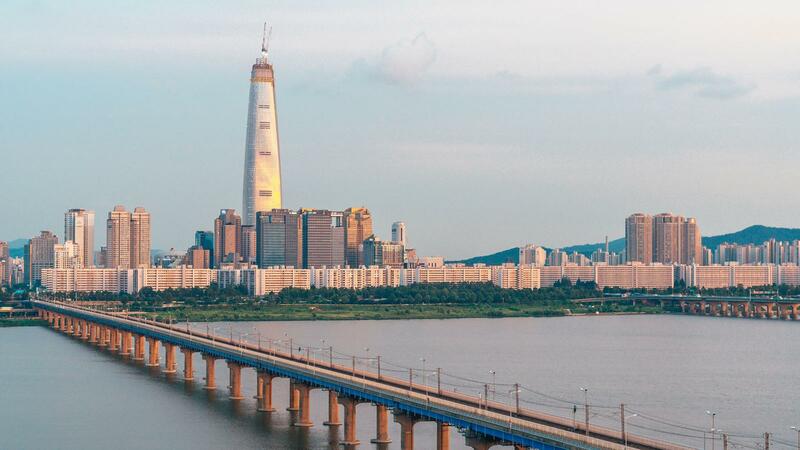 As, however, North and South Korea have been squaring up to one another for the past 70 years, Pyongyang may yet produce plans for a tower taller than Seoul’s. Whatever the artistic quality of such jostling behemoths, a proxy war fought with architecture is surely better than a deadly one waged with armaments. 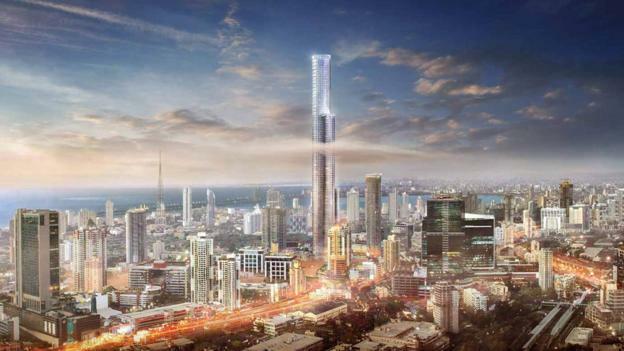 The world’s tallest residential building – World One Tower by the New York firm Pei Cobb Freed & Partners – is due for completion in Mumbai in 2016. Its 117 floors rising to 442m (1450ft) boast apartments designed by Giorgio Armani. For those able to live, or invest, here the infamous slums of the Indian city will never have seemed so far away. It is fascinating to watch as many US and European architects design sensationally tall towers in India, the Middle and Far East, while investors from these same regions pour money into the construction of equally flamboyant skyscrapers in European and American cities. London, a city bereft of tall modern buildings until quite recently, is fast becoming a fractured mirror image of Seoul, Shanghai and Mumbai, with its flourish of fast-buck residential towers along the river Thames, the car crash of outlandish skyscrapers in the City of London, and the latest, operatic residential blocks on the fringe of the City serving a newly affluent ‘digerati’ – young entrepreneurs enriched by e-commerce. A new textbook example is Canaletto, a wildly gestural 97m (318ft)-high tower, and possibly a London home for Mark Zuckerberg, the Facebook billionaire. Designed in clusters of flats clambering one above the other over City Road, the curvaceous aluminium and glass-clad tower is certainly no shrinking violet (much less a London Pride, the pretty little pink flower that colonised London bomb sites during the Blitz of 1940, and so become a symbol of the city). Canaletto’s design is by Amsterdam’s UNStudio, architects of the spirited Mercedes-Benz Museum in Stuttgart; Arnhem’s energetic new railway station and, significantly, Raffles City, a concatenation of high-rise, mixed-use towers and other sleek commercial buildings in Hangzhou, China – a city that is now a key part of China’s great leap forward into meta-capitalism and unbridled property development. 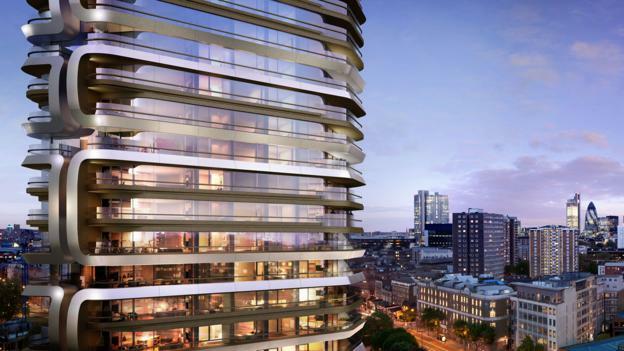 Canaletto is UNStudio’s first commission in London. Whatever their qualities, developments like this are making London less and less of a Canaletto painting with each passing year. The continuing skyscraper boom has been matched – certainly in Western cities – by further investment in giant art galleries. Those most likely to spend lavishly on contemporary art are the very people investing, as developers and buyers, in commercial and residential skyscrapers and other costly city-centre property. Whether in public or private, ambitious installation art demands ambitious spaces for display. Equally, as installation art draws new crowds, public galleries feel the need to expand. London’s Tate Modern has been building an enormous extension for many years. Scheduled for completion in 2012 to coincide with the London Olympics, this huge, facetted concrete structure designed by the Swiss architects Herzog & de Meuron will finally open in June 2016. Faced with bricks, and resembling some contemporary interpretation of a Mesopotamian or Mayan ziggurat, the 11-storey extension will surely send the number of visitors to the Tate Modern – more than five million in 2015 – skyscraper high. 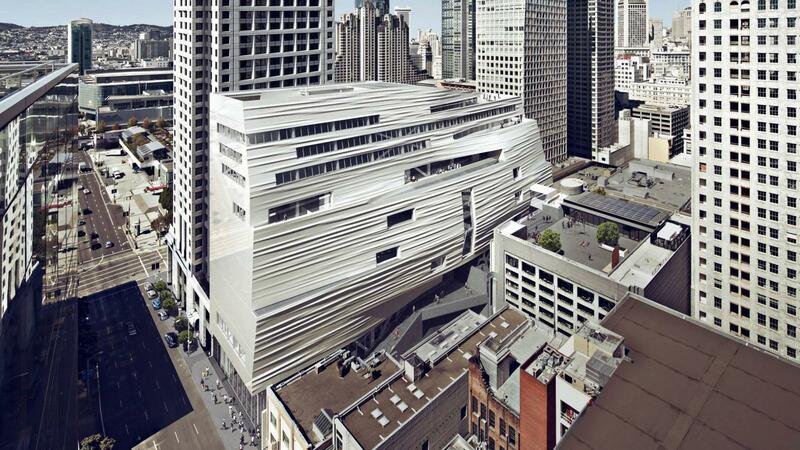 In May 2016, San Francisco’s Museum of Modern Art opens a giant extension, too. Designed by Snøhetta, the Norwegian studio responsible for the charismatic Oslo Opera House (2008) and the impressive Bibliotheca Alexandrina (Alexandria, Egypt, 2002), the extension is squeezed between the original building, designed by Mario Botta and opened in 1995, and flanking skyscrapers. Clad in a striking garb of striated silver-grey fibreglass-reinforced polymer, its abstracted cloud-like form is inspired, say the architects, by the city’s foggy weather and dramatic seascape. Theatrical, generous, well crafted, and linked to the existing gallery by a monumental stair, this ‘dancing partner’ for the original Postmodern building will surely pull in the crowds. And, yet, for all the many sky-high and culturally ambitious new buildings peppering the skylines of global cities in 2016, the year will also offer a clutch of modest and beautifully thought through designs that, after so much bombast, will surely be a comfort to those who believe architecture and art have quiet healing powers and are not just there to help fill the pages of The Guinness Book of Records. At Downing College, Cambridge, Caruso St John are completing the conversion of an Edwardian stable block into a gallery designed to display paintings. This is part of an equally low key, yet thoughtful, new residential court for students. 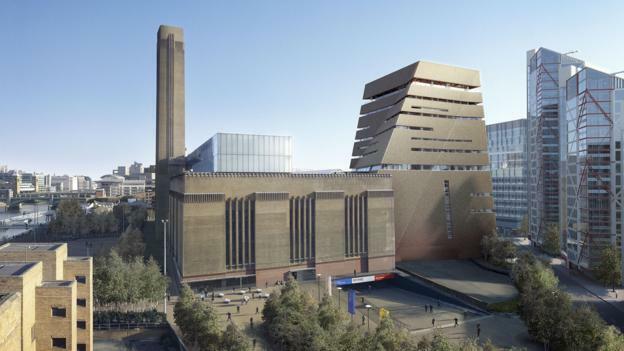 The gallery will be a very different proposition in terms of design and ambition from Tate Modern 2, and yet it is likely to be a much easier place to enjoy works of art. 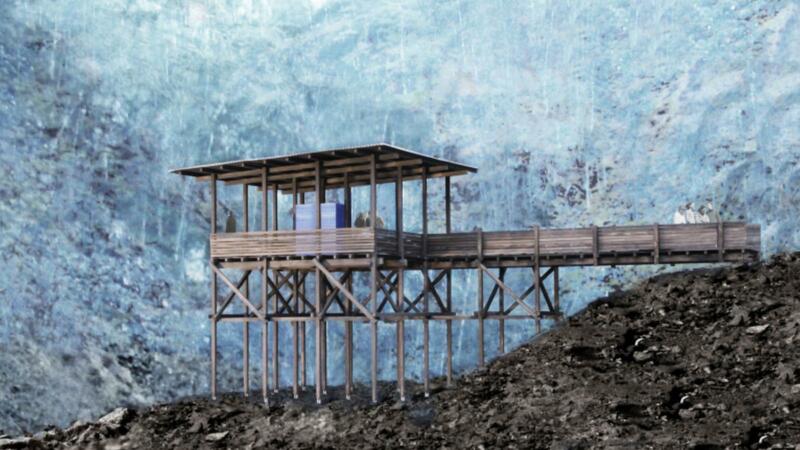 In Norway, Peter Zumthor, the much-feted Swiss architect, is putting the final touches to a museum of local zinc mining along the Allmannajuvet ravine near Sauda. Taking the form of four simple yet exquisitely designed timber and zinc roadside shelters, this will surely be one of the most beautiful and most modest museums to open in 2016. Here, landscape and setting – the spirit of place – is paramount. As is the location and feel of the Tippet Rise Arts Centre at Fishtail, Montana. Here, Cathy (a painter) and Peter (musician and photographer) Halstead have been shaping a quietly ambitious Land Art project across working farmland centred on a new music room designed in the guise of an age-old barn by Alban Bassuet and Laura Viklund. 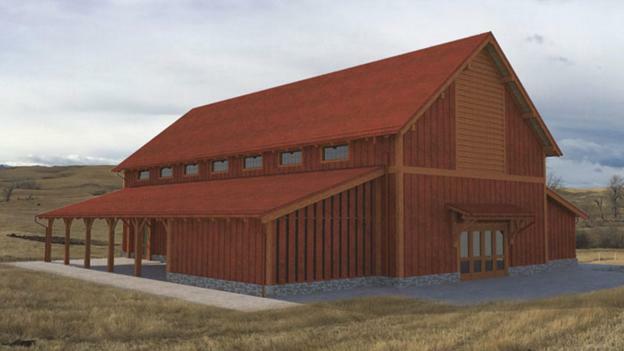 Laced through with the latest in modern acoustic technologies, with the help of Arup engineers, the building uses minimal energy: it is up to date and yet it belongs here as much as the nearby Beartooth Mountains. Such modest and appropriate designs as these three cultural projects offer a counterbalance to the ways in which global cities are thrusting upwards, and both creating and consuming architecture and culture on a titanic scale. And, yet, as the legion of high, ambitious and mighty new buildings due to open around the world in 2016 reminds us, they are – however enchanting – a very rare breed indeed.